Grooms, ushers, fathers and gentlemen guests need not feel left out as Nicole Dalby offers a stylish range of buttonholes to add the finishing touches to a kilt jacket or morning suit. Thistle and heather buttonholes are a traditional option for buttonholes, all individually tied with ribbon, jute or binding to complement the colours of the wedding party or to subtly match the lapel of the suit. Mothers of the brides and grooms, bridesmaids, aunties, gran’s and wedding guests can accessorize their outfit with a gorgeous floral wrist corsage, a lapel corsage or a statement clutch bag corsage. It’s a rarity to be able to enjoy wearing flowers so take advantage of the occasion and dress your hair, outfit, handbag or wrist with Phalaenopsis orchids, vibrant vanda orchids or delicate vintage flowers. 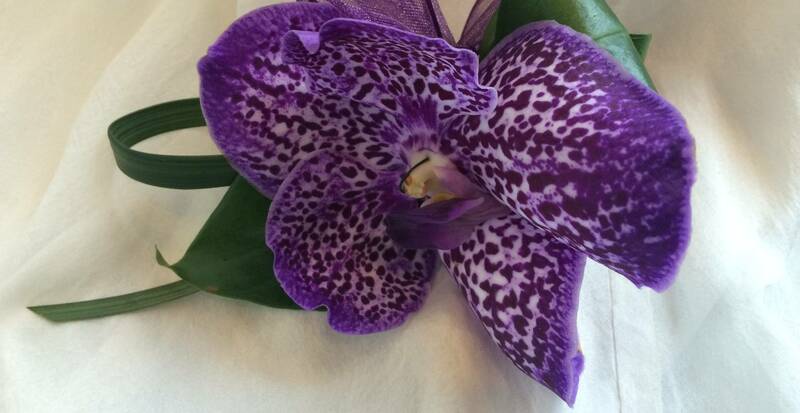 Each corsage is customized by Nicole to match your specific requirements of colour, scent, shape and size. Contact Nicole Dalby directly to discuss your wedding flowers. In need of inspiration? View more of Nicole Dalby’s wedding flowers via Instagram or Facebook.